Thursday, March 8 is International Women’s Day-Civil Awareness Day. In observance, splendid events and festivities will be celebrated all over the world. ModestoUSA will commemorate International Women’s Day with a happening all its own. Bringing the press for progress Downtown and powered by the collective efforts of the organizers of the Modesto Women’s March and Castle Sisters Event Productions, there will be a benefit concert hosted by the Barkin Dog Grill. Folks of all ages are invited to enjoy a dynamic evening which commences at 5:30 pm and features international music and world menu dining selections. Gate fee is $5 and all proceeds benefit area women’s clubs. Alaska native Frank Solivan and The Dirty Kitchen bring their “Newgrass” originals to Black Oak Casino on Thursday, March 1. Showtime is 8 pm. DEVA Cafe has scrumptious cuisine every day and on Sunday serves up a mixed recipe of acoustic artists on tap from 10 am to noon. March brings Mattea 3/4, Abraham Steve Lackey 3/11, The Daydream Believers 3/18 and The Ardent Trio 3/25. Post photos of your meal on the Deva Facebook page for a chance to win food prizes, and celebrate MARCHelada with a salty, savory Brunch beverage. 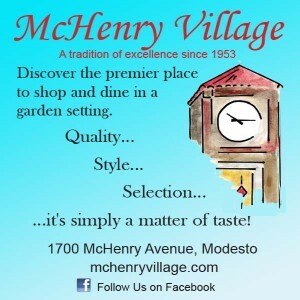 The Third Thursday Modesto Art Walk is a family-friendly stroll down DoMo. Artists, Creatives and Musicians of all types will display their gifts in various venues including the ModestoView stage at 11th and J streets. The Alternative Hangover fronted by Dale Huff brings their blend of Pop covers and original material to The Barking Dog Grill March 3 and Bookies March 30. Keep in mind the importance of music at your venue and/or event. Utilize your business space to create opportunities for beauty and fellowship. 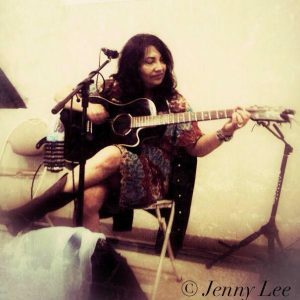 Visit pattycastillodavis for more info on acoustic music collaborations.